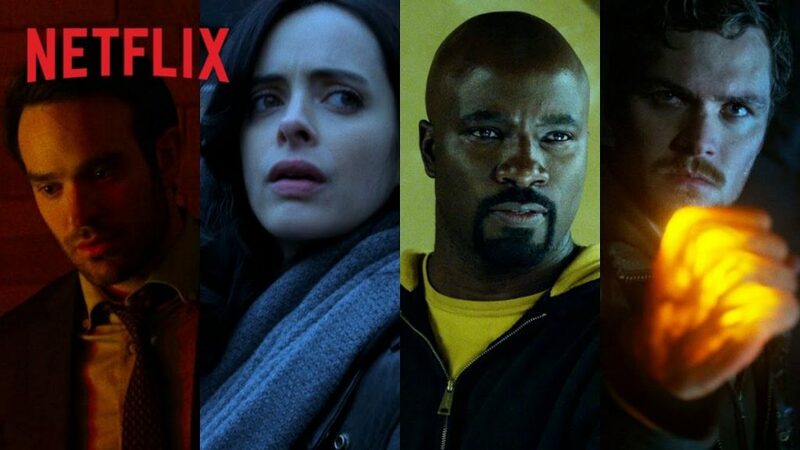 So, I saw Marvel's NetFlix series for The Defenders a few weeks ago. Here's a hint: It took me this long to review it. What do you think? The short version is: it was okay. The premise is simple: The Hand, magical Yakuza Ninjas, have come to destroy New York. How? I'm not entirely certain. There's something about a dragon underneath the city, and if you take too much away from the dragon, the city falls down? I think. It was either never spelled out fully, or it was partially explained in Iron Fist (which I'm so glad I didn't see), or I fast forwarded through it by accident -- and I made it a point to watch everything the good guys were in in full, so if it wasn't explained to them, it wasn't explained to me. The fun takes a while to get there. About episode 3. There are the occasional moments before that, but ... eh. On the positive side, when these people are together, they're actually not too bad. Most of them balance out each other's more annoying qualities. Luke Cage is the rock upon which everything else could stand if they wanted. Iron Fist's whining and stupidity is balanced out by everyone smacking him upside the head. Daredevil is still probably the best part of the show. Jessica Jones' misanthropy is balanced out by her having to share the screen with everyone more interesting than she is. And of course, "Jessica Jones, stop talking" is so perfect a line I want it as my ring tone. Though one of the crowning achievements of this show are bringing the side kicks together. Sorry, but I really enjoyed watching the Night Nurse with Colleen Wing, or Hellcat... sorry, Trish ...meeting with Murdock's law firm. It was fun. And strange. And then there's the downside: the bad guys. Sorry, Marvel, unless the villain is Kingpin or Kilgrave, or they just go full comic book villain, we don't care. We really don't. Sigorney Weaver was wasted as Nameless Psycho #4 (no, really, I can't recall what the bleep her name is). She was amazingly boring, she's obviously too old for this crap, and her next step on the creepy train is to go full Susan Sarandon. Then there's Elektra... sigh. Yes, for those who remember the end of Daredevil season 2, Elektra died. It's a bad habit she's kept from the comic books. Another bad habit is that she keeps coming back. The only difference is that she's been brought back ... wrong. I don't know if she's supposed to have been programmed as a mindless super weapon, or if she's just even more broken than she was from her first appearance. Here, she's as crazy as a bag of cats. Another major downside: some of the idiocy that just falls trippingly off the tongue. If I hear "White Privilege" one more time, I will hit someone with a 2x4. Thankfully, that was only one particularly stupid conversation and was never repeated ... or I fast forwarded right past it, and never heard a thing about it. There was also the obligatory superhero beat down. There were two of them. No one one's surprise, it was beating up on Iron Fist. Because this Danny Rand needs to be beaten routinely. And, honestly, the intelligence of the characters was 100% dictated by the needs of the plot. Thankfully, Iron Fist is stupid enough to be more than stupid enough for everybody. The best idea he's had all throughout the series was that they would make a good team. The team is fine, when they're actually on the move and DOING SOMETHING. Seriously, this was a major issues with Supergirl, why is this the end of a Marvel series? They usually do things fairly well. Nope. Not any more. At the end of the day, yes, I do recommend this ... on fast forward. There is exactly one moment where watching the bad guys comes in handy, and it's Elektra's best moment. But aside from that, you don't need to watch them, and they are in dire need of editing.